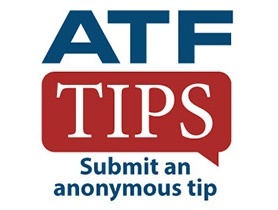 Welcome to the Division web site of the Bureau of Alcohol, Tobacco, Firearms and Explosives (ATF). We in the Charlotte Field Division are responsible for the ATF jurisdiction in both great states of North and South Carolina. Our web site can be a useful tool for anyone needing information about us and has been designed to provide the latest public information and activity regarding our programs and projects. This site is just another means in which we demonstrate our dedication to actively engaging our customers by effectively communicating useful information as we strive to protect the public and address the issue of violent crime. Read more about the Charlotte Field Division. Text the code ATFCHAR to 63975 and then follow the link to create a report.